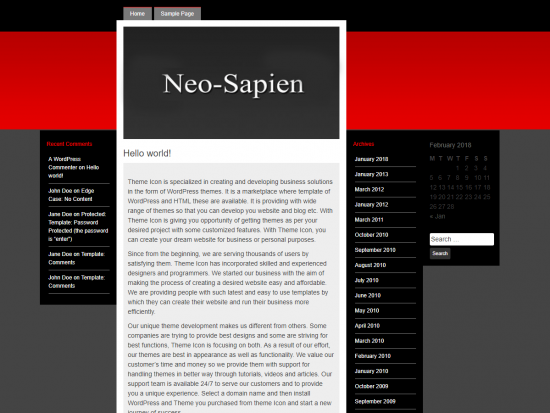 Neo-Sapien is a three-column WordPress theme. The original release, with the Casshern movie-cover image, is no longer available. For the latest version, I took out the movie cover and added a wrapper around all four columns to stop the last two columns from moving when you don’t have your browser maximized. Also, I replaced the hard-coded top links with wp_list_pages WordPress function.